Hello everyone! 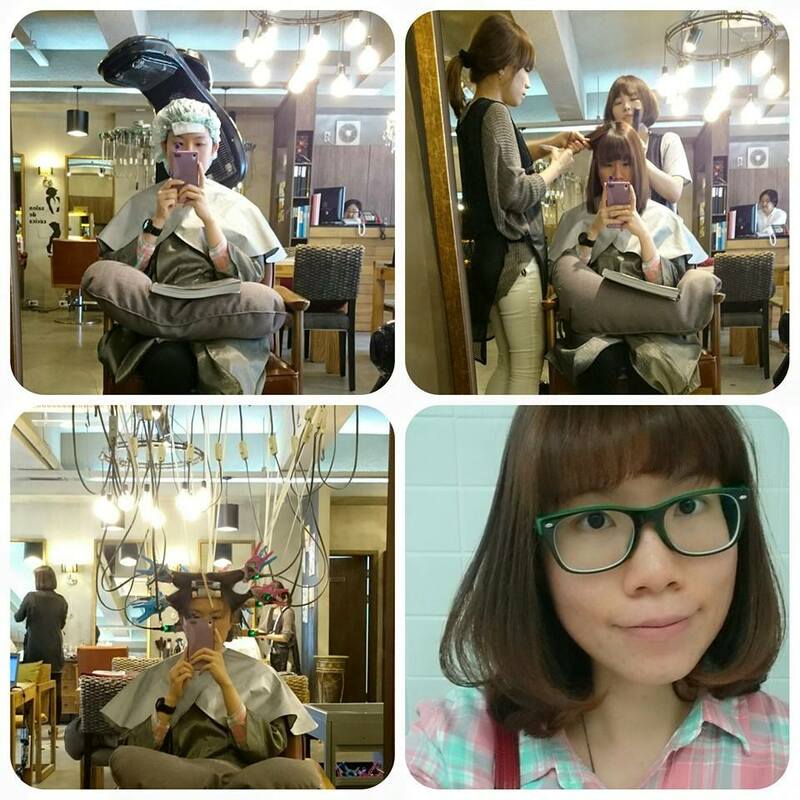 As mentioned earlier, i have I gotten a hair makeover in Korea (Go Korea of course must do my hair! Lol!). I’m currently keeping my hair long and sick of my flat hair so the stylist recommended that i perm it for more volume. Hence, i have gotten magic volume and C perm done (Completed with a treatment). 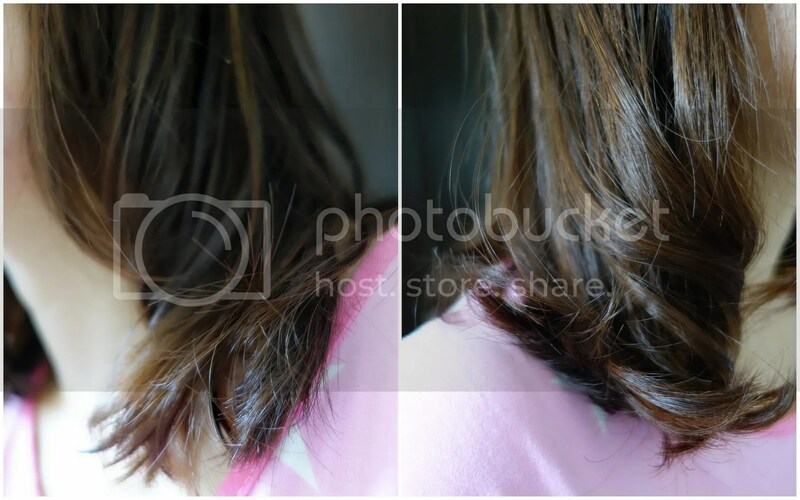 When i got back to Singapore, i went to dye my hair as the ‘pudding head’ that i have is such a sore eye~ Since i have subjected my hair so many chemical treatments, dry / damaged hair with a lot of tangles and spilt ends are inevitable. All these problems will surface once the nice effects from intensive hair treatment wears off. I cannot be running to the salon almost every 6 weeks for intensive treatments as it is costly. Even after the best salon treatments, hair will ‘depreciate’ with its protein and strength as some salon processes can damage hair’s inner structure… Cracks will start to appear and more free radicals will penetrate so hair starts feeling rough, dry and brittle. How i wish i can prolong the lifespan of my salon treated hair! 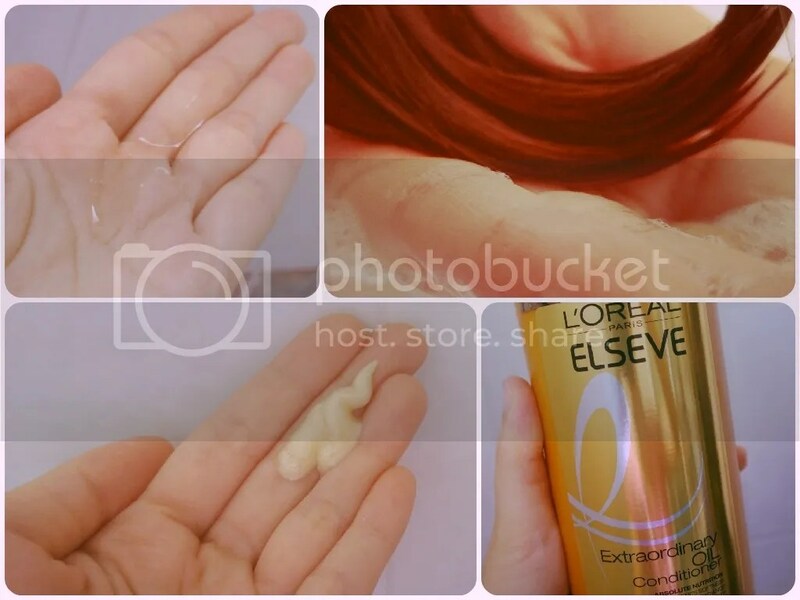 When i was fretting over the condition of my hair, L’Oréal Paris has sent me their latest hair products from the Extraordinary Oil haircare range so that i can achieve healthy, shiny, smooth and manageable hair in between salon visits. 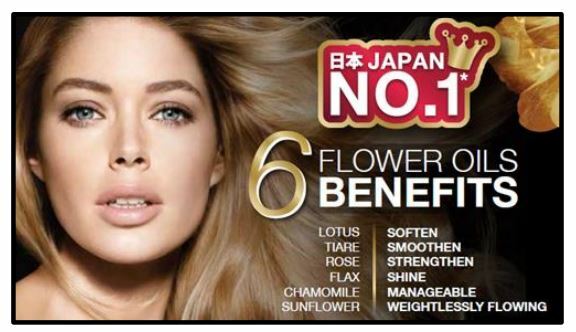 From the #1 treatment brand in Japan, the new haircare range cleanses and conditions with the same exquisite blend of 6 flower oils – Lotus, Tiare, Rose, Flax, Chamomile, Sunflower oils to achieve Soft, Smooth, Strengthened, Shiny, Manageable and Weightlessly flowing hair. The French brand, L’Oréal Paris, one of the world’s top beauty care brands, offers men and women worldwide beauty and personal care products that incorporate the latest scientific advances. Visionary formulas, upscale presentation and products that are a pleasure to use: L’Oréal Paris provides affordable luxury for people who demand excellence. 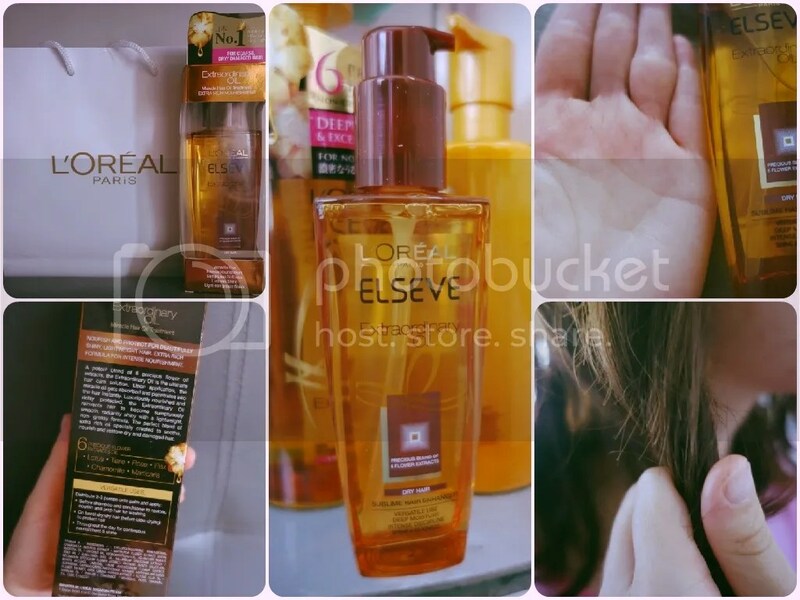 From skin care, hair care and hair coloring to makeup and styling products, L’Oréal Paris is endorsed by various international celebrities and top beauty specialists. In May, L’Oréal Paris launches its most premium and luxurious Extraordinary Oil Hair Care which contains 6 Extraordinary Flower Oils to bring about 6 Benefits to help women tackle all their hair problems and achieve soft, smooth, strengthened and shiny hair all at once. 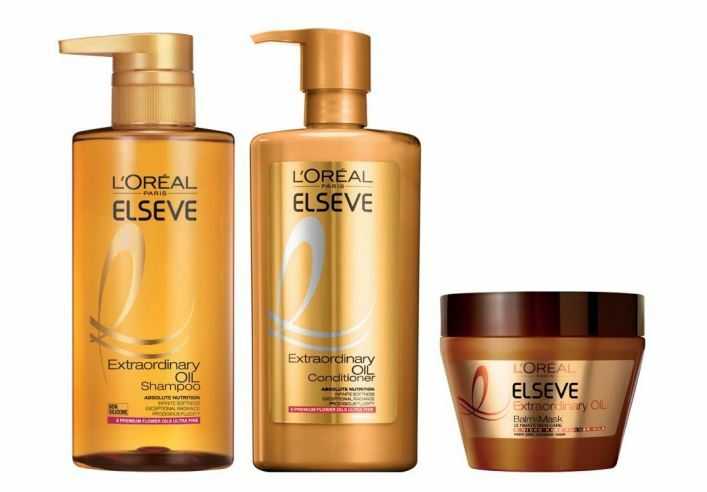 L’Oréal Paris Extraordinary Oil range has made a name of itself in Japan (Japan’s No.1 Treatment Brand) and has transformed the hair of countless women with its full range of Extraordinary Oil Treatments. With the same 6 precious flower oils, the new Extraordinary Oil Hair Care range promises a luxurious and sensorial hair transformation that cleanses and conditions from the scalp, with the perfect balance of airy lightness on the roots and deep nourishment on the ends. This Treatment Brand is specially formulated for Asian Hair and it consists of Extraordinary Oil Shampoo, Conditioner and Mask to cleanses and conditions with an exquisite blend of Lotus, Tiare, Rose, Flax, Chamomile, Sunflower oils to achieve Soft, Smooth, Strengthened, Shiny, Manageable and Weightlessly flowing hair. Though oils might appear too greasy or heavy on our hair, it is widely used in cleansers for their ability to dissolve sebum, dirt and waterproof make up, and at the same time hydrating and nourishing the skin without compromising its moisturize level. It’s effect is actually similar on our hair. 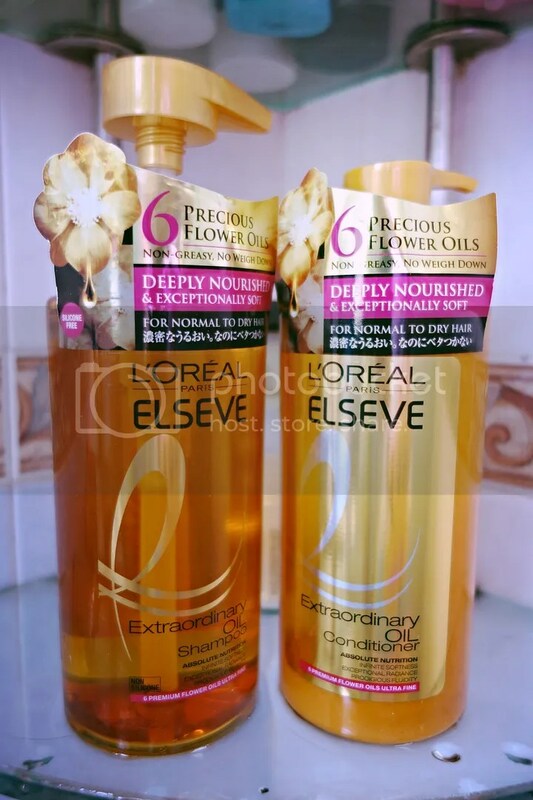 L’Oréal Paris Extraordinary Oil Hair Care range is light, non greasy & infused with a lush floral fragrance and is suitable for normal to dry hair. On the scalp: The blend of 6 flower oils deeply cleanses the scalp to remove excess sebum and dirt, with additional anti-bacterial properties. Moisture is not stripped from the scalp, but balance is restored to the sebaceous glands. On the hair: The blend of 6 flower oils deeply penetrates into the hair keratin and luxuriously nourishes and strengthens the hair from within. Hair is strengthened with a lustrous shine and feels sumptuously soft and smooth. Even without styling products, hair is transformed weightlessly free-flowing and becomes more manageable. My current hair condition: Shoulder length permed colored hair. Permed & colored hair needs specialist care as it is highly damaging and hard to maintain (As such, my current hair care products meant for normal straight hair don’t work as well). Will need something that will hydrate each curl from the root to the tip, maintain and strengthen every inch of my curls; right down to the permed tips; which is the most fragile part. 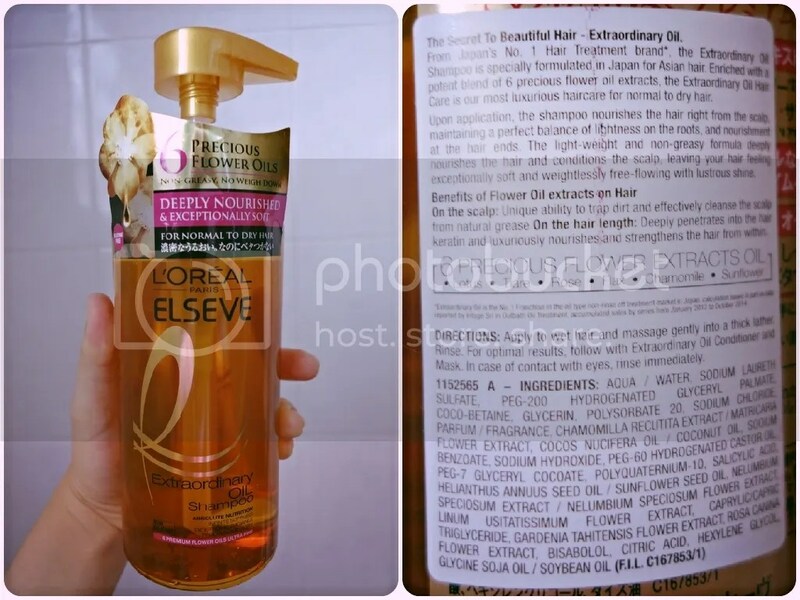 On top of the Extraordinary Oil Shampoo & Conditioner, L’Oréal Paris also sent me the Extraordinary Oil Miracle Hair Oil Treatment (Brown, for Coarse, Dry/Damaged hair) to soothes and restores dry and damaged hair so that i can achieve gorgeous curls with extra softness throughout the day. Extraordinary Oil Shampoo nourishes the hair right from the scalp, maintaining a perfect balance of lightness on the roots, and nourishment on the hair ends. hair is left feeling exceptionally soft and weightlessly free-flowing with a lustrous shine. Extraordinary Oil Conditioner deeply nourishes the hair, leaving the hair feeling extremely soft, manageable and weightlessly-flowing with a lustrous shine. USAGE: After using Extraordinary Oil Shampoo, apply to wet hair and massage gently. Leave in for 1-2 minutes. Rinse. As mentioned earlier, I have dry / damaged hair due to the chemical treatments done. On top of that, my scalp has always been oily and sensitive. 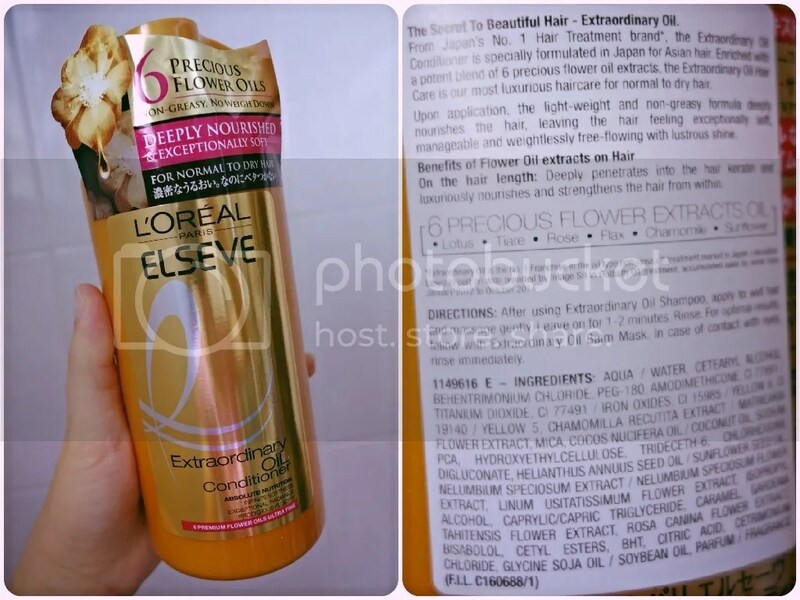 I’m always very picky when it comes to haircare products as i need something which is hydrating yet not too oily. Extraordinary Oil Shampoo & Extraordinary Oil Conditioner contains the blend of 6 flower oils deeply cleanses the scalp to remove excess sebum and dirt, with additional anti-bacterial properties while balances scalp. The flower oil also deeply penetrates into the hair keratin and luxuriously nourishes and strengthens the hair from within. Hair is strengthened with a lustrous shine and feels sumptuously soft and smooth. Hence, the Extraordinary Oil Range will be able to address my two concerns. First of all, I don’t quite like the smell of the shampoo and conditioner! The floral scent is mixed with a woody note which too overpowering for my liking.. However, that’s the only complaint which i have (however, my husband said it smells rather nice). The shampoo is transparent in color and it works into a dense foam to help remove built up and residue. A small amount gives my hair u a good lather and condition. I love how light my hair feels after washing and the shampoo does not weigh my hair down. It leaves my scalp fresh (no itch too!) and my hair tangled free (i can run my fingers through it easily!). I don’t comb my hair after perming as i’m afraid i will ‘straighten’ it in the process. haha~ I also find that my hair isn’t so flat, has a nice sheen and it is softer and smoother to the touch! As for the conditioner, it has a decently thick formula and it leaves hair soft, shiny and most importantly, frizz free and super manageable. I also find that it is easy to wash it off completely without any stickness/ greasiness. The Extraordinary Oil Miracle Hair Oil Treatment contains 6 Precious Flower Oils (Lotus, Tiare, Rose, Flax, Chamomile & Sunflower). Upon application, the lightweight and non-greasy miracle oil gets absorbed and penetrates into the hair instantly. Luxuriously nourished and richly protected, the Extraordinary Oil reinvent hair to become sumptuously smooth and radiantly shiny. Been using the Extraordinary Oil Miracle Hair Oil Treatment after shower and as a heat protector before i blow dry my hair. Will use 1 pump for each side of my hair. Since Extraordinary Oil Miracle Hair Oil Treatment is oil-based, it will be oily to the touch. But once it is fully absorbed, there’s isn’t any greasy heavy after-feel left behind on my hair. A personal tip, do not pump the oil and apply it on your hair at one go.. Instead, pump a small quantity and work through your hair in sections to achieve better results.. The treatment oil has a lovely floral scent and it comes in a classy glass pump bottle. 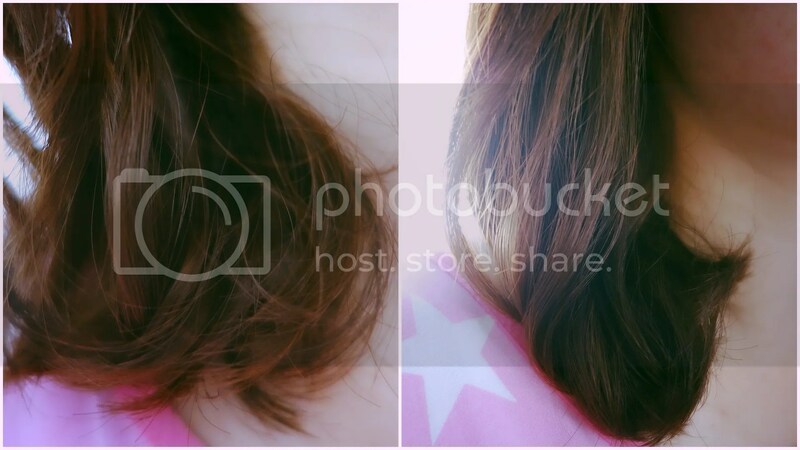 Left Side of my Hair: Without Treatment Oil. Right side of my Hair: With Treatment Oil. With the treatment oil, Curls holds much better and looks more ‘bouncy’ + shiny. The L’Oréal Paris Extraordinary Oil Hair Care Range is available at Watsons, Guardian, Sasa, major supermarkets and hypermarkets and selected departmental stores. 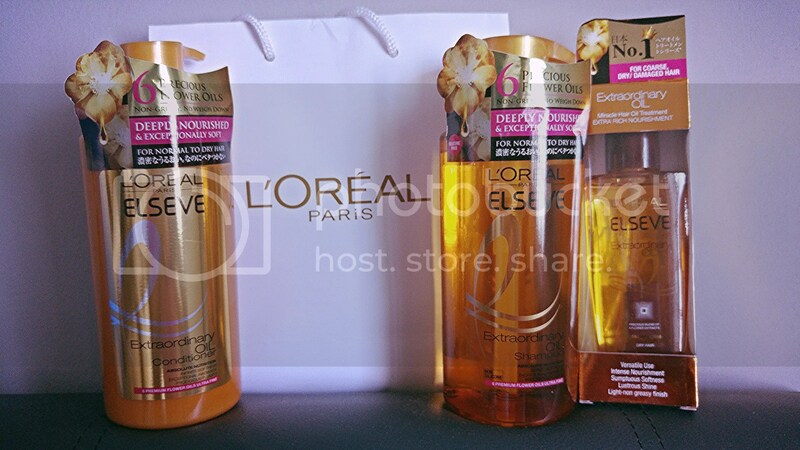 * Disclaimer: Products Description & information are extracted from L’Oréal Paris’s website and Presskit.